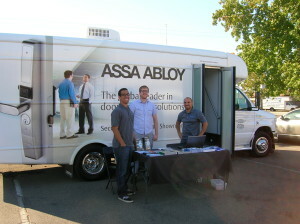 Today an ASSA ABLOY Mobile Showroom truck stopped by our office here in Rancho Cordova, near Sacramento, Ca. 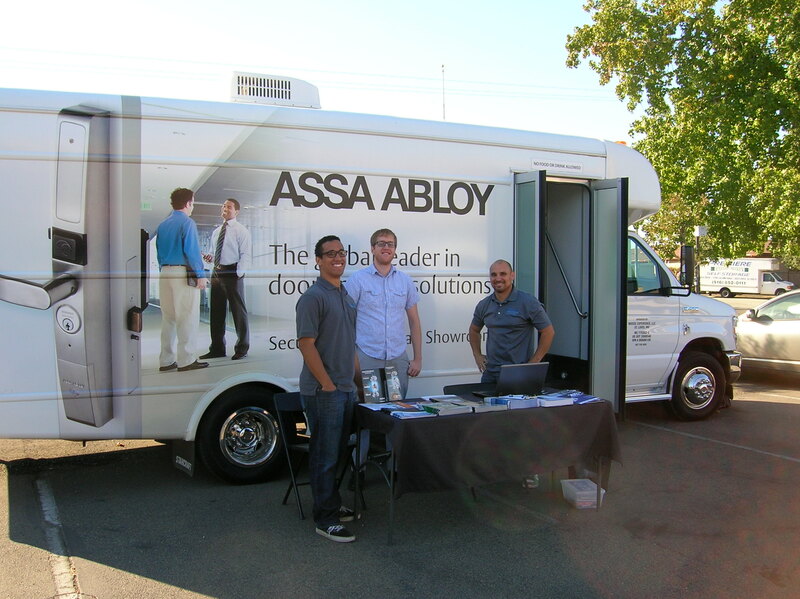 ASSA ABLOY is the global leader in door opening solutions. They have a very professional presentation for a line-up of their products. These products are among our favorites to work with. Aperio Interface and HES / Medeco K100 Cabinet Lock. Securitron PowerJump ICPT Inductive Coupling Power Transfer. Adams Rite 4300 Steel Hawk Electrified Deadlatch. 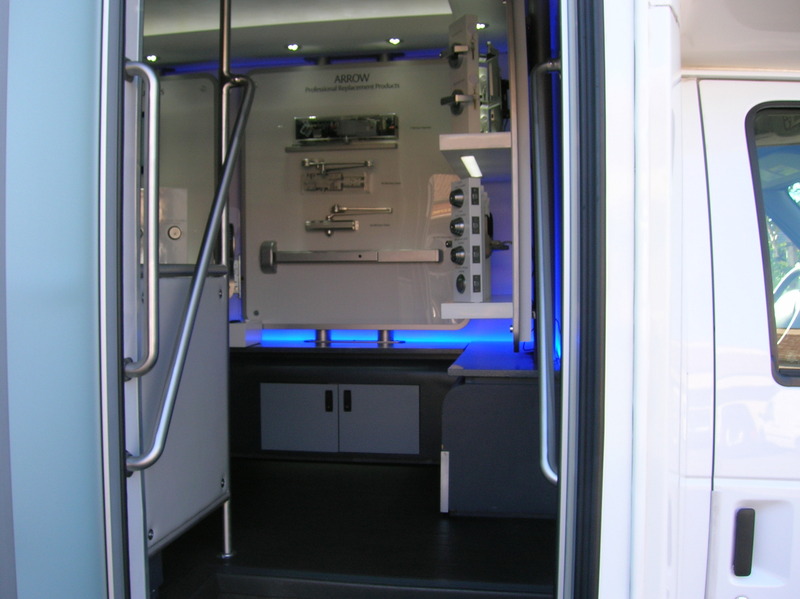 Securitron CEPT Concealed Electrical Power Transfer. Adams Rite 2190 Dual Force Interconnected Deadbolt / Deadlatch. 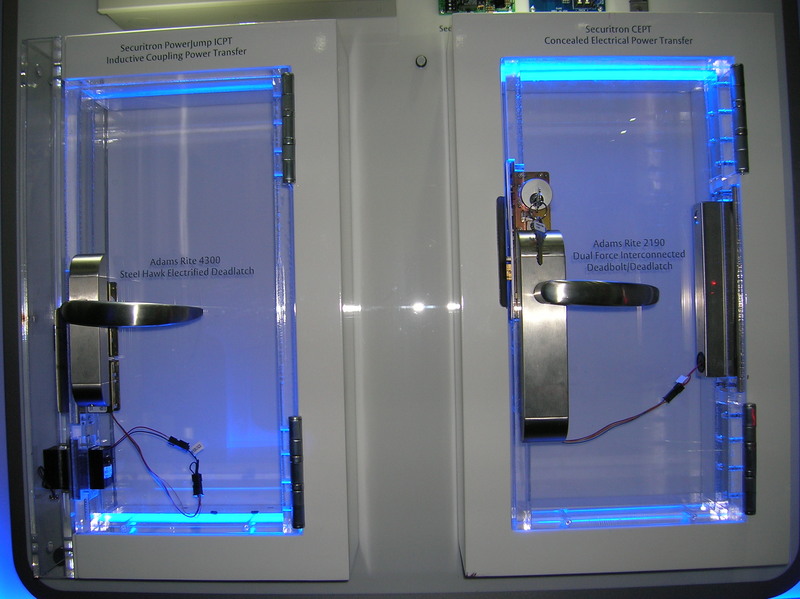 ASSA ABLOY TRAKA Touch Screen. Top Quality Electric Strikes, including HES 9400 Surface Mounted, Foldger Adam 310-45, and Adams Rite 74R1.